In my still lifes I work to create cool, dark images with shots of color and interesting shapes. 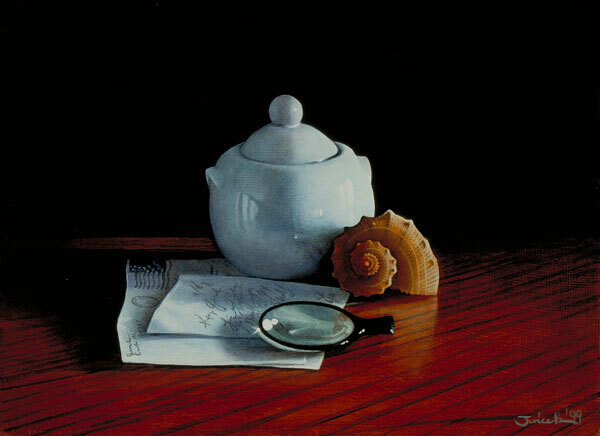 The items in the paintings come from my garden and my many collections of things: correspondence, seashells, glassware, objects—all of which I cherish and have kept through the years. I arrange these personal items in a way that gives the viewer a sense of stillness, a moment to pause in a beautiful spot in the middle of a hurried day. 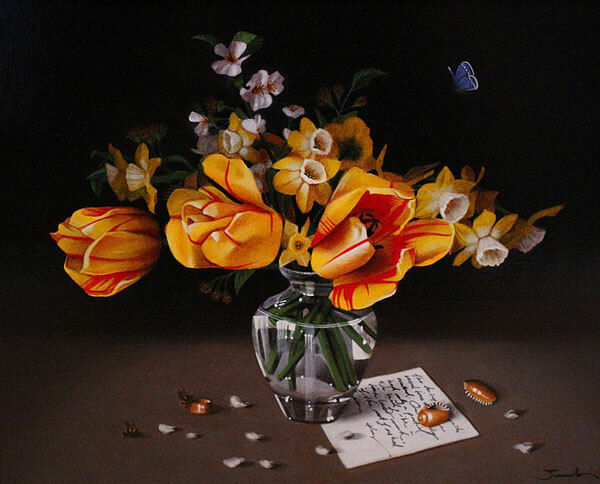 Kay Juricek, currently a resident of Denver, Colorado, was born and raised on her family’s farm in the rolling hills of southeastern Nebraska. 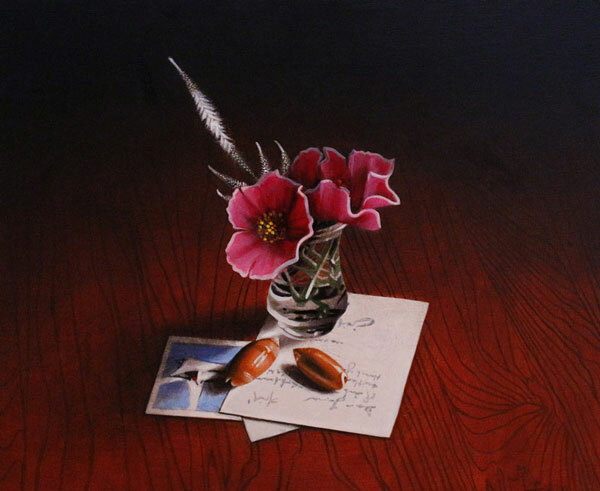 She graduated in 1980 with a bachelor of fine arts degree, with an emphasis on painting and lithography, from the University of Nebraska at Lincoln. While at the university, Kay Juricek studied with renowned Nebraska landscape artist Keith Jacobshagen. In 1984, Kay Juriceck earned a master of science degree in library and information science from Columbia University, New York City. Thereafter, she worked as a faculty member at the University of Wyoming and the Colorado School of Mines. She also worked as a librarian for various engineering companies and state and federal government agencies. 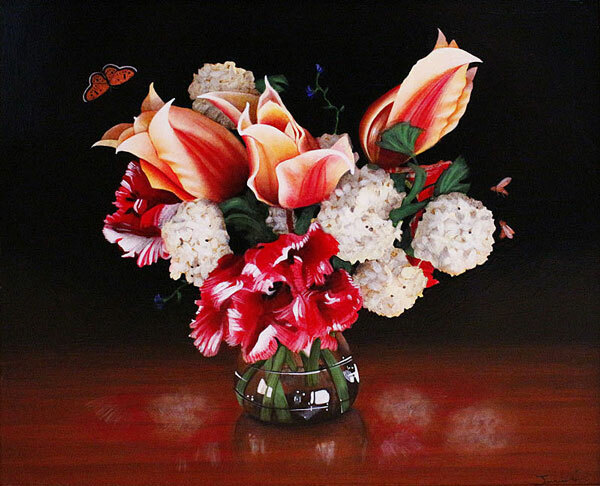 During the 1980s, Kay Juricek began painting still lifes and portraits on commission. 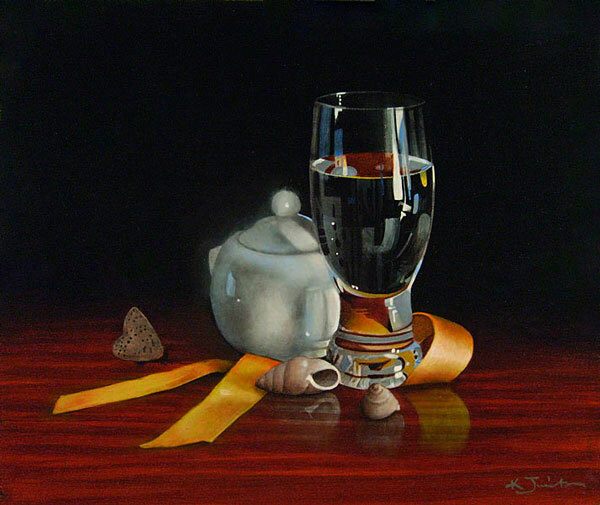 Working in acrylics, oils, and pastels, Kay Juricek has exhibited her award-winning work in galleries and in juried and invitational shows, both locally and nationally. Most recently, she was part of the group show “The Art of Memories” at Stanton Gallery, Littleton, Colorado. Among juried exhibitions in which Kay Juricek has appeared are “Not So Fragile: Works About, Of and By Women,” at Hirshfeld Gallery, Colorado Women’s College, University of Denver, October – December 2014; “The Real Draw: Colorado Artists Making Their Mark in Drawing,” sponsored by Colorado State University and the City of Ft. Collins, Colorado, at Carnegie Community Gallery, Ft. Collins, October 2014; and “Annual Western Spirit Art Show and Sale,” a national juried exhibition and sale at Cheyenne Frontier Days Old West Museum, Cheyenne, Wyoming, March – April 2014. Kay Kuricek was the winner of the Juror’s Choice Award, for her work Hot springs runoff, at the “All Colorado Art Show” at Curtis Arts & Humanities Center, Greenwood Village, 2013. In October 2015, Kay Juricek’s work can be seen at Wazee Union Gallery, in Denver’s RiNo Art District. Kay Juricek’s work has been published in a number of periodicals. 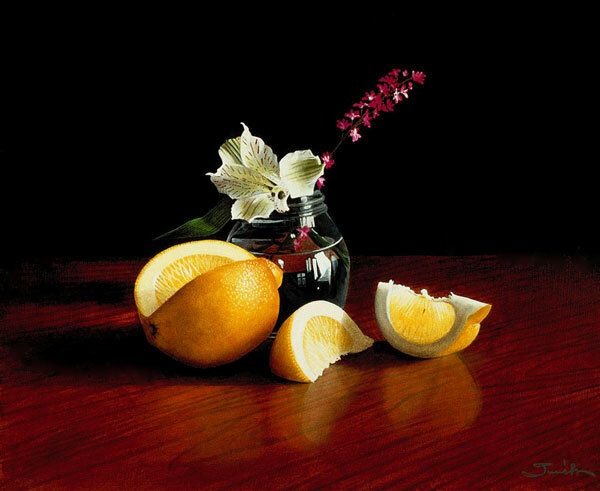 The recipient of a second-place award in the landscape division of The Artist Magazine‘s 2014 Annual Art Competition, she was featured in the same magazine in December 2014. 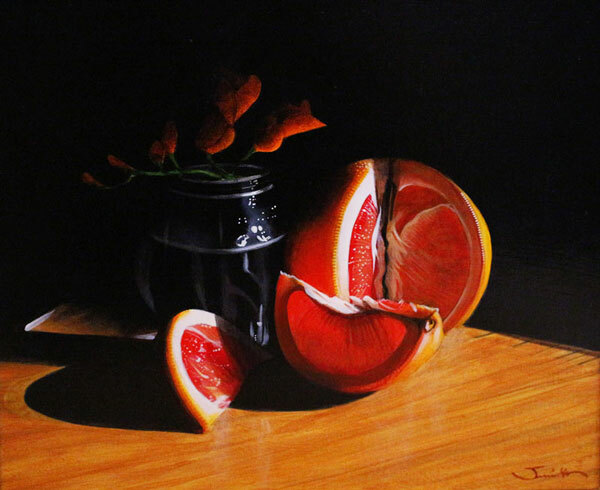 In addition, Kay Juricek’s still lifes were selected for issue 24 of the juried publication New American Paintings.